This week is all about getting myself eating right and working out again, I can happily report that I have done both today! I started my day off with a pre workout snack of 6oz of coffee and a small banana nut muffin that I made, then I headed up to the gym. After working out I had a bowl of Raisin Bran cereal, another 6 oz coffee, and a big pint of ice cold water. For lunch I had a sandwich made with oat nut bread, extra sharp cheddar, mashed avocado with pesto, and italian herbed chicken breast. In the afternoon I had another pint of water and another 6 oz coffee. I also had a Yoplait light blueberry yogurt as a snack. For dinner I had 2 slices of chicken breast in a lemon caper sauce, sliced cucumber in italian dressing, quinoa and kale, and sweet potato butternut squash soup. As you can see I did pretty good today not only did I skip the junk, but I also made it to the gym!!!! What about you did you eat right and make it to the gym today? 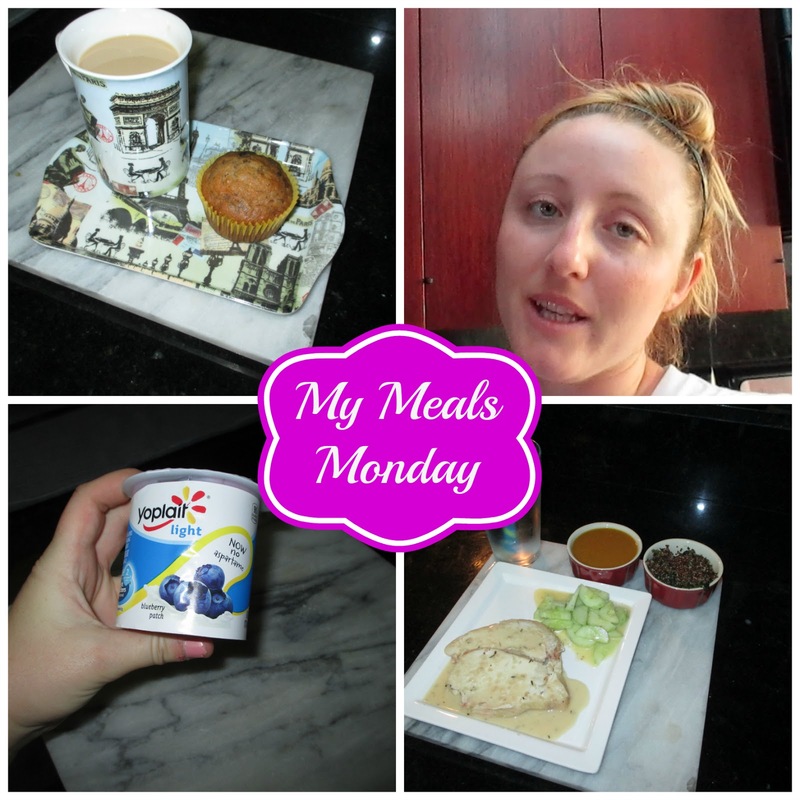 If you would like to see the video for MY Meals Monday you can find it here.